Sixty-eight percent of the best U.S. places to sell a home are in California according to a new report from SmartAsset. Home values in Alameda County’s Hayward grew by 20.3 percent between 2012 and 2016, the most of any city included on a list. Homes in San Jose currently sell in less than a week, making it the fastest-paced U.S. market. An aerial view of Fremont, which ranks among the 10 best markets for home sellers in 2018. Demand for California homes remains high as the traditionally busy spring season begins, with more than two-thirds of 2018’s top markets for sellers located in the state. An annual analysis from SmartAsset ranks the 25 best U.S. cities in which to sell a home on a 100-point scale. Factors used to determine a housing market’s seller-friendliness include change in home value from 2012 to 2016, average days on market, percentage of homes sold for a loss, and average closing costs in 2017. Golden State cities account for 17 of the 25 best sellers’ markets this spring. That’s a notable jump from SmartAsset’s 2017 list of top places to sell a home, when just four California cities were included. The Bay Area’s top-ranked representative is No. 5 Hayward, which scores a 95.49. Home prices in the Alameda County community have appreciated by 20.3 percent in the aforementioned five-year period, the most of any city on the list. With a 91.88, Fremont is the other Bay Area city to crack the top 10, tied at No. 8. Homes there are selling in an average of 12 days, making it the list’s second fastest-paced market. Along with Hayward, Fremont has the highest average closing costs, at $11,407. Homes are flying off the market in No. 13 San Jose, where the average property sells in just five days, faster than any other city in the analysis. Between 2012 and 2016, San Jose’s median home value increased by 14.4 percent, and since then, appreciation in the area has become even more pronounced. 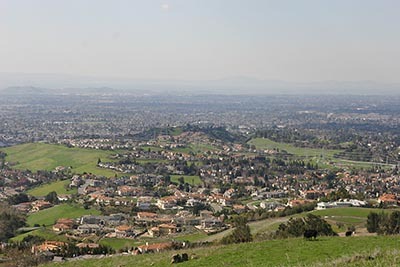 According to the latest home sales report from the California Association of Realtors, the median sales price for a single-family home in Santa Clara County was $1,383,500 in February, a year-over-year gain of 25.8 percent and a new record high. Tied at No. 23 with San Bernardino County’s Rancho Cucamonga, Santa Rosa is the Bay Area’s final representative, where homes find a buyer in an average of 16 days. The other California cities that rank as the best for sellers: Moreno Valley (No. 2), Elk Grove (No. 3), Fontana (No. 6), Ontario (No. 8), Pomona (No. 10), Chula Vista (No. 11), Palmdale (No. 12), Riverside (No. 15), Corona (No. 18), Escondido (No. 21), Oceanside (No. 22), and Santa Ana (No. 25).